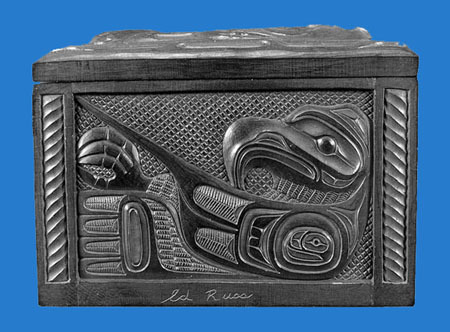 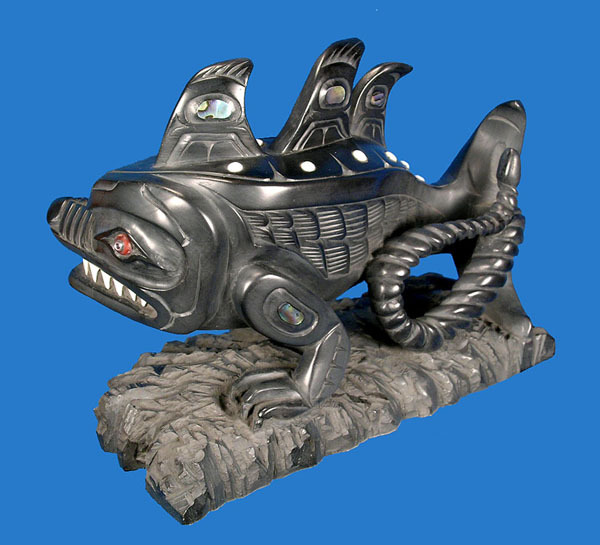 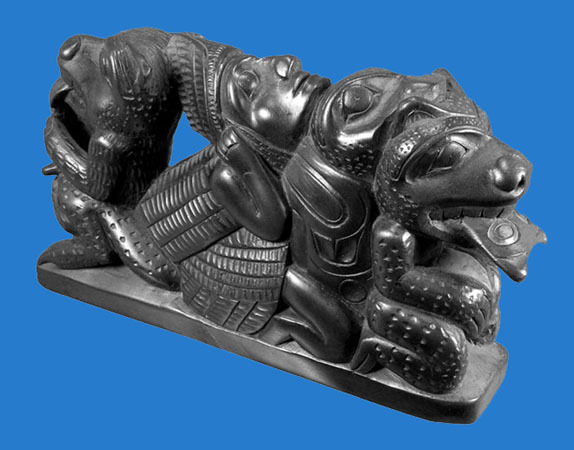 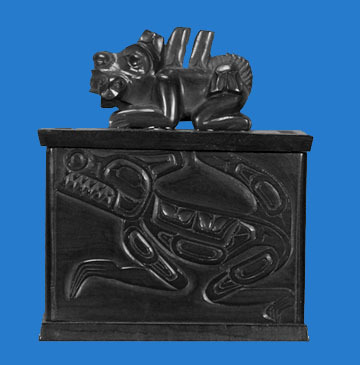 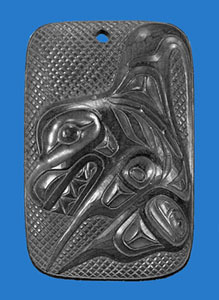 For approximately 200 years, Haida artists have carved argillite sculptures. 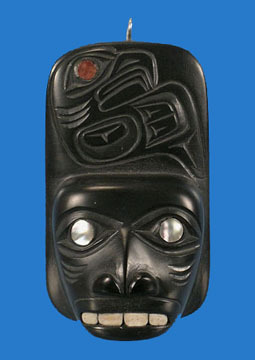 Argillite is a slate rock found on Slatechuck Mountain near the village of Skidegate on the Queen Charlotte Islands. 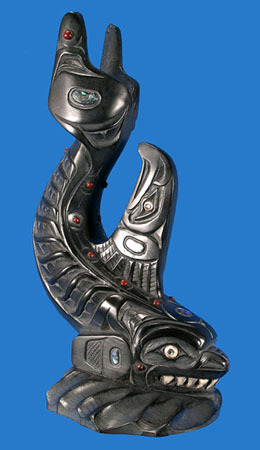 The sculptures carved today reflect the ancient traditions and myths of Haida culture. 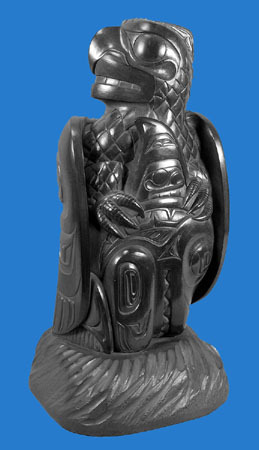 Intricate figures unique in their symbolic representation are the focus of our selection of argillite carvings. 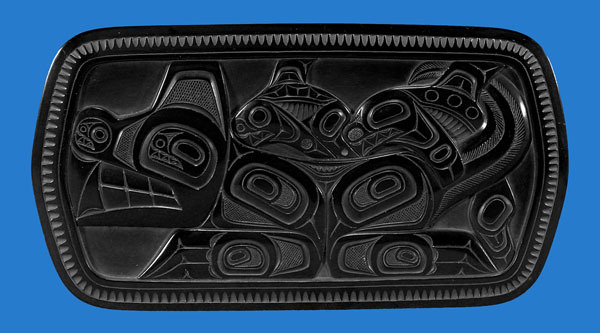 For details and other views with enlargement, click on images below..